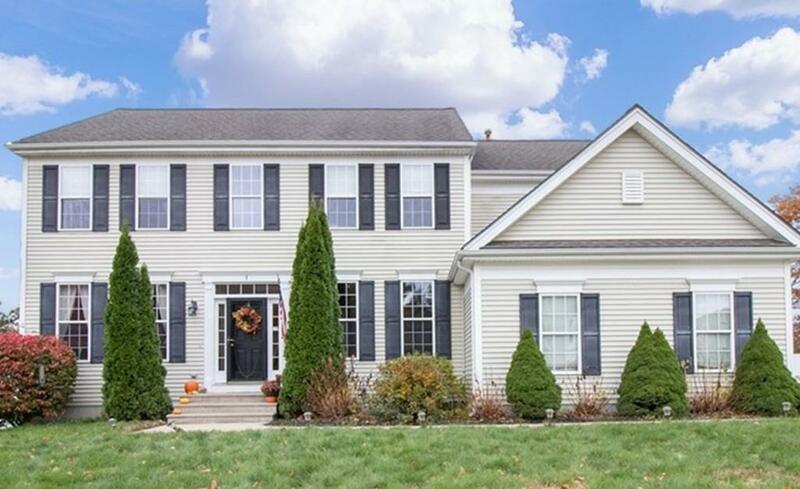 Located in the desirable Pine Hollow neighborhood in the Ponds of Plymouth, this 4 bedroom 2 1/2 bath colonial is just what you are looking for! Enter the front door into the soaring two story foyer, to the left you will find the formal living room and adjoining dining room with crown moulding, wainscotting, and bay window. To the right through double doors your home office. Ahead is the large kitchen with maple cabinetry, center island with dining area open to the large family room with fireplace and 4 large windows overlooking the backyard. The first floor also has nine foot ceilings, recessed lighting and hardwood flooring. Second floor boasts three good sized bedrooms with a full bath, a laundry room and lovely master suite with walk in closet and double doors leading to the master bath which has a double vanity, jetted soaking tub, separate shower and water closet. All this with a two car garage, corner lot, fully fenced in backyard with a two tiered deck.